During his relatively short life (1452-1485) Richard divided opinion, and he has gone on dividing opinion ever since. Graduate students working with the Institute for the Public Understanding of the Past at the University of York examine here the evidence for Richard’s connections with the north. This website was part of a series of events across the region between June 2013–June 2014. Learn more about the project behind this website - who is involved, what we aim to discover and how we intend to present our resources. Discover the important aspects that defined Richard III’s reign with a series of accessible introductory resources developed by our team of researchers. What happened, and when? View the key dates and events of Richard III’s lifetime and legacy in the form of our comprehensive, annotated timeline. 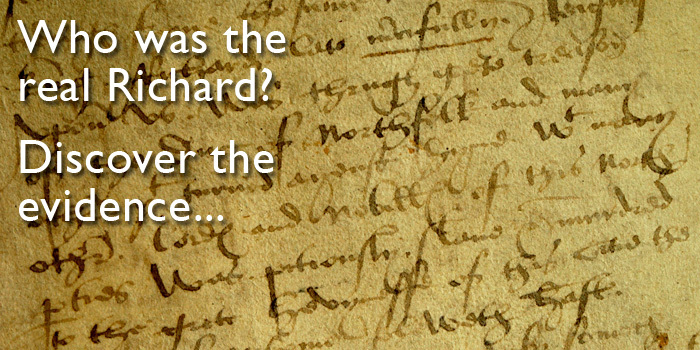 Where did the events of Richard III’s lifetime take place? Use our interactive map, linked directly to the events on our timeline, to find out more. This project no longer has an active presence on Twitter. However, you can still view tweets from the June 2013 - June 2014 festival.